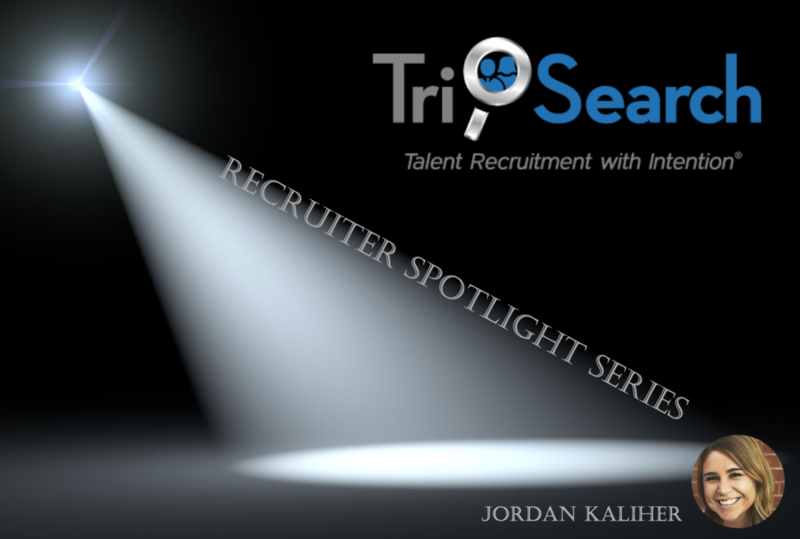 This quarter, Tri-Search’s Recruiter Spotlight illuminates Jordan Kaliher. Jordan joined Tri-Search in 2017 as a Senior Recruiter, coming from a global staffing firm where she was a top producer and managed a team of recruiters. Jordan is relationship-oriented and utilizes her degree in Industrial-Organizational Psychology from Colorado State University to ensure the right match between candidates and clients. We spoke with Jordan about her time spent with Tri-Search, her views on recruiting and her advice for job seekers. What has been your most satisfying (and your most challenging) job fills while at Tri-Search? JK: My most satisfying job fill was placing a new Division Manager at a leading manufacturing distributor. This position is an extremely visible role for the client, so the process was lengthy. It was about 14 months from kick-off to signed offer letter. The candidate was very passive in his search for a new opportunity and was patient throughout the course of the process. He started earlier this week, and I can’t wait to see what he is able to accomplish! The most challenging position was working on a Continuous Improvement/Quality Manager for a leading, global packaging company. The requirements for the role changed a few times throughout the course of the search, and the location wasn’t the most incentivizing place. However, we were able to find the perfect candidate who started last September! What do you like most about the recruiting process? JK: I love partnering with clients to determine exactly what they’re looking for and then the challenge of finding people that meet those specifications. I love the opportunity to help clients and candidates find each other to ensure the right fit, long-term. What are your thoughts this far on your time spent with Tri-Search? JK: I can’t speak highly enough about Tri-Search and the team we have in place. The leadership team is extremely supportive – personally & professionally. They empower us yet are always there to help. The team we have is wonderful, even though we work remotely, everyone is willing to lend a helping hand. We are there to celebrate all of each other’s victories, as well as empathize with each other. What advice would you give people looking to change jobs? JK: Network as much as possible! Also, make sure to do your homework on the company and have specific reasons why you’re interested in working for them. You should interview the company as much as they interview you to determine if it will be the right fit long-term. Any personal details you’d like to share? JK: I am expecting my first baby this month! Tri-Search is proud to be a finalist in the 2019 Colorado Companies to Watch Awards! Colorado Companies to Watch (CCTW), sponsored by Bank of America Merrill Lynch, is a unique program that honors 50 high-performing second-stage companies from across the state. Founded in 2009, CCTW recognizes the contribution high-growth small businesses make in Colorado’s economy through job creation, revenue generation, innovative products and services and philanthropic efforts. Second-stage companies are those that have moved past the startup stage and into a period of growth. The 2019 Finalists selected significantly impact the state’s economy by collectively providing thousands of jobs and contributing millions of dollars in revenue while representing Colorado’s diverse economic landscape. CCTW receives more than 1,000 nominations each year and narrows down to 100 Finalist companies. Of these, 50 winners are ultimately chosen by CCTW's volunteer judging panel. Winners will be announced at the 11th Annual Gala Awards Dinner on Friday, June 21, 2019 at the Denver Marriott Tech Center. Registration for the event will open soon at ColoradoCompaniestoWatch.org. November, 2018. By Louis Freda. Most information regarding the difficulties of recruitment nowadays seem to focus solely on trends and the challenges of tech and sourcing but not what could primarily be considered the most important aspect of recruiting; candidate interest. Ask any in-house HR professional and they will say capturing and piquing a potentially strong candidate’s interest is key to any on-boarding process. As such, specific practices by the internal HR department and hiring manager are key for a candidate‘s desire to work at that employer. The most critical of this process is the on-site interview--- a setting where the HR team and the hiring managers can articulate the story of why the candidate should want to work at their company. Securing qualified, new employees begins by grabbing potential candidate’s attention and creating a certain buzz about your company. It should be a destination and environment candidates want to tell their friends and co-workers about and look forward to coming to interview at. This begins with the internal HR team and those conducting the candidate interviews (including any potential third-party recruiting firms, (such as Tri-Search or Morgan Samuels) and should follow through with streamlined and strong company branding throughout. Thoughtful best practices should be followed throughout the interview process, wholly respecting the candidate from the get-go. Lastly, the more communication and feedback from both the company and the candidate regarding the process, the better it is for all involved. Rapidly growing recruitment firm rosters experienced partner while strengthening their national reach. (Dallas, TX. September 11, 2018) Tri-Search, the international full-service talent acquisition company that bills its reputation as creating great teams by being one, proudly welcomes Mike Tastle to its lineup. Tastle joins Tri-Search as a Managing Partner, tasked with opening new offices and further expanding the reach of the company’s proprietary new Customized Project Recruiting (CPR) Model to the Texas market. "I'm super excited about joining Tri-Search and their incredible team,” says Mike Tastle. “With a deep level of recruiting experience of all the team members, 100% referenceable clients, and a true desire to do what's right for both clients and candidates, this team is poised to continue it's phenomenal growth and I'm fortunate to be a part of it." Prior to joining Tri-Search, Mr. Tastle was the Chief Operating Officer of Accolo, a recruitment process outsourcing company. Mike joined Accolo in June of 2015 as Vice President of Customer Success and in 5 short months was promoted to Senior Vice President and tasked with overseeing all functions of the business. With a proven ability to lead a team, he turned around a declining organization and led the company to its first year of growth in over 6 years. Mike graduated from Southern Methodist University in Dallas, TX with a BBA in Business Management and Psychology. He is married with 1 daughter and lives in Dallas, TX. The financial cost of a bad hire can run a few hundred, to hundreds of thousands of dollars and with The U.S. Department of Labor pinning the price of a bad hire at around 30% of that employee’s first year’s earnings, it’s easy to see how quickly the costs of a bad hire can add up. In fact, when Zappos discovered that they were spending upwards of $100 million on bad hires, they actually began offering $3,000 separation bonuses to new employees should things go south in the first few months. Hopefully, separation bonuses won’t have to be part of your company’s bottom line but even the best of organizations experience bad hires. In fact, according to a survey conducted by Glassdoor and Brandon Hall Group, 95% of employers suffer from a bad hire every year. · Organizations that lack a standard interview process are five times as likely to make a bad hire. · Organizations that invest in a strong candidate experience improve their quality of hires by 70%. · Organizations that invest in employer branding are three times more likely to make a quality hire. · Rushed processes: companies needing to fill their positions ASAP. · Insufficient research and poor sourcing. · Inadequate references and background checks. · Weak employer branding and lack of cultural education. · Loss of Productivity: Poor job performance directly affects bottom line company productivity. Also; consider the missed revenue and productivity opportunities that may never present themselves, due to underperformance or vacancies. · Relocation & Turn-over Fees: Incurring replacement and possible relocation costs, especially if the company has to replace the bad employee with a newly relocated one. · Litigation Fees. Hopefully the bad hire doesn’t become worse, but a company needs to be prepared as many states are very pro-employee. · Weakened Employer Brand: A poor hire can also directly affect your company’s brand in various negative and public ways, notwithstanding having to re-hire any high-visibility positions in a short period of time. · Loss of Customers: A bad apple can quickly turn even the most loyal of customers off a brand. But perhaps the truest measure of a bad hire is in the fact that one underperforming or toxic employee can act as a contagion infecting the entire workplace. Here, concrete reporting of the ill-effects of a bad employee are difficult to quantify but quick to impact. Other employees may find their productivity faltering due to the fact they are faced with picking up the bad hire’s slack. Office moral suffers. Brand culture is dinged. Sometimes, the bad hire can introduce caustic effects to the office place; including bullying, in-fighting, time-wasting, name calling, etc. Any or all of these behaviors will quickly degrade a company’s culture for every employee across the board. Thus, the true cost of a bad hire goes beyond the loss of revenue, opportunity and loyal customers, to quickly become a voraciously mutating virus that when left unabated, can quickly take down the entire ship. Bad hires, although common, must be avoided at all costs. Although companies face upfront expense in terms of time and money while onboarding new employees, we can see from the many debilitating effects of a bad hire that this upfront effort is more than worth it. A surefire way to avoid bad hires is to tap an experienced and trusted external recruitment firm from the get-go. Examples of such firms are the rapidly growing Tri-Search for their coveted customized project recruiting process, PeopleScout operating within the RPO sector or Morgan Samuels operating within the executive search space. Perhaps Steve Jobs said it best-- "The secret of my success is that we have gone to exceptional lengths to hire the best people in the world." Here’s to happy (good) hiring. The core of any business is its people. So where do you start when it’s time to build? Do you create your own internal recruitment team or do you go out and find a proven, experienced recruitment firm to do the heavy lifting for you? Or perhaps it’s a little bit of both? The pros of creating your own internal recruiting firm include potential cost savings as well as being able to have an internal team that literally lives and breathes the company’s culture. Yet as enticing as these benefits may be, there’s still a strong case to be made for utilizing an external recruitment firm. 1) TEAM. Hiring a single, external recruitment firm gives you access to a large team and a set of powerful tools to help your recruitment process. The firm will assign a full team to all of your recruitment needs, including an account manager, recruiters, sourcers, recruiting coordinators, and more. You will also receive the latest in search technology, including ATS, metrics, etc. as well as compensation sheets when going to offer, reference checking, intake call forms and an instant database of thousands of candidates to network with starting day one. Trying to match this same breadth of recruitment experience by hiring an internal team may be challenging and take up valuable time. 2) TURNKEY. An external recruitment firm is usually a very turnkey experience. One call can set in motion the full power, experience, connections and technology of that firm to benefit your company immediately. 3) CORE. To an external firm, recruiting is their core business. Outsourcing always makes sense if it’s not your core competency. 4) PASSIVE CANDIDATES. Most in-house recruiters don’t have the bandwidth to go after passive candidates. Either they don’t have the time or it’s frowned upon to directly poach from competitors by reaching out and connecting with currently employed candidates. External firms, such as Tri-Search, pride themselves on sourcing, attracting and landing top passive candidates. It's critical to have a proven track record of recruiting passive candidates in this very candidate-driven market. 5) SPEED. A good recruiting firm can fill key positions in 60 to 90 days or faster. It could take a year or more to find and/or completely build an internal team to do all the work. 6) BRANDING. Although there’s a case that an internal HR team will truly know your business, a reputable external firm will incorporate learning your business as part of their tools and even be able to create unique branding initiatives. An external team will also have the tools to help brand your company as part of the job search with streamlined brand and job messaging across the job landscape as well as being able to offer marketing add-on’s such as candidate videos and company bios. 7) INSIGHT & PARTERNSHIP. Sometimes the best insight comes from the outside. Hiring an outside firm helps give top executives inside the company a fresh look and 3rd party perspective not only at their business, but their people and processes. 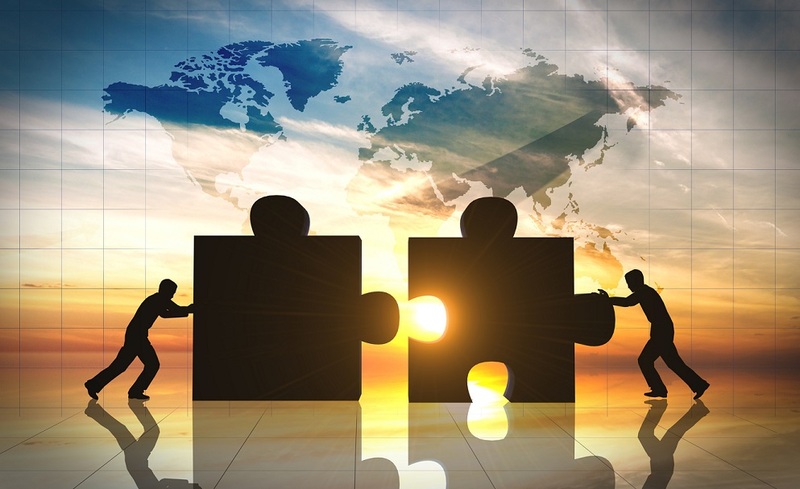 A partnership should be formed that benefits both companies in terms of creating positive company culture and adding to the bottom line. 8) COST. Although it can seem to be more cost effective to build in-house, there’s really no way to compare the wealth of experience, tech and tools you receive with an external team. And an experienced firm will always present up-front pricing with long term guarantees ensuring you get top quality hires. Sometimes, the recruiting process may require a combination of using both in-house and an external company… If you still are considering moving or building your recruiting team in- house, utilizing an external firm to help partner with you in the process is definitely a viable option. Choosing an external recruitment firm for your hiring needs is usually a win-win proposition. The overall takeaway is to make sure you align with the proper partner that provides the right level of professionalism, pricing and execution for the new plan. In today’s increasingly competitive business environment, every nickel counts. Companies are fighting to stay in the black and are constantly monitoring their costs every quarter. A great way to save a company’s money while they continue to make money is by partnering with a recruiting firm. A full-service recruiting firm will customize a bundled solution that will be cost effective for an organization while allowing the business to focus on their core competency. Throughout the partnership, the recruiting firm continues to bring in and add valuable employees, which in turn adds to the company’s bottom line. A firm like Tri-Search will customize a bundled solution for a company that gives that company access when their needs change, as well as provides access to the latest technology and recruitment methods. Engaging an outside recruitment team will also allow for the peaks and valleys in your hiring needs. Not adding fixed overhead is essential when seeking to maximize your profits. Recruiters are resourceful and can attract talent quickly and the right partner will serve as an extension of your existing workforce. Lastly, and imminently important is decreasing turnover. Turnover among your employee base is expensive. Onboarding employees and training is costly, once the investment is made you want to amortize it as long as possible and retain employees to establish your culture and focus on growing your organization. The right partnership will yield all of the aforementioned cost savings benefits, and in return your organization will grow from having the right people in the right roles. The modern day hiring process is chock full of immediate and quantitative search results full of robust background information and experience across the world wide web. Companies such as LinkedIn and software like Bullhorn has mastered the ‘search result’ – giving recruiters innovative new tools to source relevant candidates for open requisitions. But this technology is limited in its scope, returning candidates based mostly on current job title and listed past experience. How is the recruiter to know how good the person is and how well they will fit into the hiring organization? That’s where artificial intelligence is beginning to make its mark within the search industry. Recently, AI has been deployed to tackle a range of issues across many different industries. Within human resources, new startups (such as Leap.AI) believe artificial Intelligence can be used to help solve the age-old question: how do I find the best people for the best job? This is true even more so in the tech world, where there are so many similar resumes and experience; it’s tough within the vast search result to unearth the best candidates. Companies, such as Leap.AI are creating efficient software that will be able to search through the ‘search results’ mapping individual skills, experience and interests to the demands and culture of employers. Their AI software aggregates all relevant data on the individual to create a more complete picture of the candidate. AI measures how difficult the open requisition will be to fill, based on historical data of similar job openings, companies and available candidates, allowing for better planning up front on how many resources a company should put towards a particular job search. Accuracy is also important, AI is able to evaluate the precision of the search, further pinpointing the best candidates for the job. 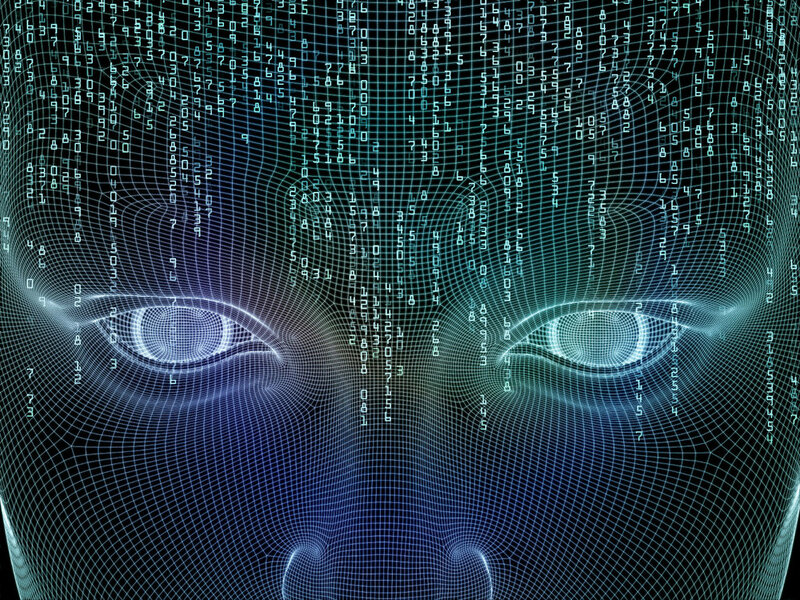 AI is also taking on a SIRI, Terminator, futuristic role as well in the recruiting world. Meet MYA, the newest job recruiting and application tool. MYA is an AI created by FirstJob to automate up to 75% of the recruiting process and she is about to revolutionize the talent pipeline. MYA is the first fully automated recruiting assistant who is able to engage with potential candidates, can ask relevant questions based on the requisitions and is able to provide personalized updates and advice to the recruiter. Ultimately, MYA takes all the relevant data from the candidate and turns it into a fully realized, pertinent database return for the recruiter, saving the recruiter hours of manual labor and research. The advent of AI into human resourcing is an exciting and fairly new event. It will be exciting to see just how far (and how helpful) this young, burgeoning technology will apply to sourcing jobs in the generations to come. In the latest Tri-Search thought leadership piece, we wanted to share one of our thought leader client's (Anthony Fogel's) excellent articles on Turning Candidates into Fans. Hit the Full Screen button to view the presentation below. Both companies and recruiting firms always seem to claim they understand the importance of “engagement” but are they really practicing it? Candidate engagement is the art of making the candidate feel that they aren’t part of a transaction but instead feel like companies are truly helping them create a better life for themselves and their family. Ø “What’s the most satisfying job that you’ve ever had? 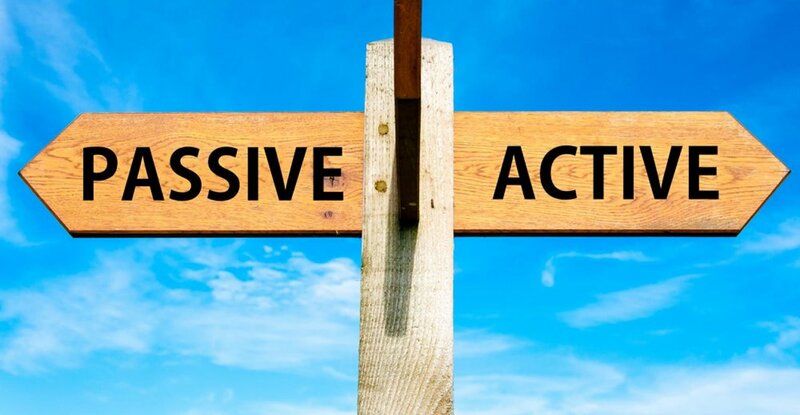 Aside from acting as more stimulating ‘ideas’ behind the new opportunity, all of these responses will be used as selling points when it becomes time to close this “passive” candidate. Additionally, this information will help the recruiting firm show the Hiring Manager the trajectory of the candidate and the impact of their value add to the new company. To learn more about powerful candidate engagement, visit Tri-Search.com. Being able to successfully attract, retain and work with this new generation begins by understanding the unique ways in which Millennials see their world. By 2020, Millennials (defined as people born from 1984-on) will make up 50% of the global workforce. Being able to successfully attract, retain and work with this new generation begins by understanding the unique ways in which Millennials see their world. 8) To start their own businesses. As you can see from the above list, although the themes of what the Millennial wants may be similar to past generations, Millennials embrace a much different approach and idealism to their burgeoning careers than generations before them. Interestingly, the current generation has given Millennials somewhat of a bad name. Millennials have been called lazy, but this can be attributed to their want of a work-life balance. They have been called disloyal but this can be due to their desire to progress in their careers to ultimately start their own businesses. And they have been called ‘prima donnas’ but this could be because they have such lofty expectations such as helping the environment or the greater good through their efforts or their desire to work with ‘cool’ and interesting people. Like any emerging generation to the workforce, the previous generation must adapt and embrace a new set of ideals and personalities to continue to thrive. If your company isn’t educating itself on these up and coming candidates and their unique take on the world, it will quickly find itself failing to prosper in an ever-evolving world. Millennials treasure openness, ethics and social impact. Luckily; these are all very strong morals to have and your company, if it isn’t already, should be openly practicing the measure of some, if not all, of these cultures. When placing ads or searching for new candidates, remember to tout the ethics of your company. Don’t just explain the job qualifications but describe the work place environment, the sense of community, the greater good your company strives for. It doesn’t hurt to always go back to and include your mission statement when searching for new hires. Educate potential Millennial candidates on the why of your company; not just what you need. This will check the box for Millennials searching for a new opportunity who yearn for a sense of greater purpose and social impact to their work. Also, tout the culture of your company. Millennials yearn to work with interesting and cool people. What makes your work culture unique? Fun? Different? Innovative? A common thread that travels through all of these new Millennial expectations is change. With all of the unpaid internships, the different and exciting new startups popping up coast to coast, Millennials embrace a sense of change; rather than run from it. With that said, loyalty becomes a thing of the past. No longer are these employees willing to sign up for the long term and localized white picket fence. Instead, Millennials almost expect multiple, different stepping stone jobs on their way to ultimate financial security. Change is to be expected, and as such, embraced. That said, foster a sense of ‘change’ in your own internal workplace. Mix things up. Take people on company retreats. Look to fill new leadership roles from within. Relish the fact that your company should reflect the Millennials viewpoint and always be changing to reflect the times. Stay current and fresh and avoid stagnation at all costs. A key ingredient to retaining your Millennial hires is to foster diversity within your work environment. Millennials embrace diversity and want to feel like they are part of a new, more liberal and diverse culture. This starts from the top down; remind your leadership to lead with a sense of pride and inspiration, as well as diversity. Give a sense of purpose to the Millennial’s work, above and beyond that of the work’s general duties: find ways for Millennials to contribute not only to the greater good of the company but to the greater good of the immediate (and greater) environment and society. This may mean going back to your initial mission statement and abiding duly by it. Great, your company has successfully attracted, hired and retained the Millennial. Now, how do you work alongside the new generation seamlessly and successfully? With Communication. Millennials inherently embrace an open and honest sense of communication. Sure, this communication may come in different forms; social media, skype, technology, eye to eye, but if it’s one thing Millennials are good at, it’s communicating. Millennials crave an ongoing, immediate sense of feedback. And keep it real. Honestly is key. Millennials can sniff out negativity and rationalizations. Play to their sense of greater good. Their sense of making today a better tomorrow. Pay it forward. And talk about it. Should I get a foosball table to keep Millennials around? A beer keg in the kitchen? In short; no. The free snacks (just make you fat) the open floor plans (phone calls? ), the hip art on the walls (eccentric overload), even the foosball and pool tables (anyone working??) won’t keep the Millennial happy. Instead, embrace that corporate culture and cultivate it through adventurous, bonding company retreats. Talk about and offer sound health coverage, solid 401k’s. Figure out how your company fits into society and discuss ways to improve both. Hire coaches to sustain internal career development and even personality enhancement. Hire a diverse and interesting group of people. And most of all; construct a fair pay structure and stick to it. Attracting, retaining and working with Millennials is sure to be a hot topic as more and more of this emerging generation pours forth into the current workplace. The best way to learn about Millennials is to source, hire and retain them first hand. Each experience will make your company not only more adapt at acquiring this innovative, new workforce, but also more understanding of the emerging world your company will find itself operating under in the years to come. Is the phrase that was catapulted into our Talent Acquisition consciousness’s back in 1997 headed for a big comeback 20 years later? Millennials may not be familiar with the phrase, “The War for Talent”, but us gen X’rs and baby boomers can easily recall it. The War for Talent is a term coined by Steven Hankin of McKinsey & Company in 1997, and in a book by Ed Michaels. In the years leading up to 2000, recruiting and retaining talent was a nightmare for all organizations and compensation compression issues were off the charts. The War for Talent referred to an increasingly competitive landscape for recruiting and retaining talented employees. In his book, Michaels describes not a set of superior Human Resources processes, but a mindset that emphasizes the importance of talent to the success of organizations. Snap to 2017 and we are beginning to see a similar set of circumstances that we did pre- Y2K with the Dow Jones now growing (& the Nasdaq fast approaching 6000) coupled with a new President touting the ideal of putting Americans back to work again and producing goods made in America. Plus, right or wrong, there is pressure to significantly reduce H1B employees. All indicators are that the talent acquisition arena will potentially heat up to those pre-Y2K years. HR leaders and their TA teams will be searching for various modes to secure talent and more importantly, retain key talent. Arbitrarily increasing various forms of compensation or other non-compensatory benefits adding to the indirect employee costs will haunt an organization by dragging down operating earnings. Never accept subversive team members. Accept and utilize these mistakes as mentoring, supportive moments. 98% can be shared, 2% is proprietary. Kudos flow down, not up. Remember, a reward can be as quick and easy as simply stating ‘Great work’ to a person or a team. Poor performance should be corrected immediately and a performance action plan may be required. Currently leading the charge by assisting TA teams in their individual War for Talents are these four companies, listed in their areas of expertise. We have yet to see if 2017 will play out as the new Y2K, but the War for Talent will heat up nonetheless. Click on any of the four companies listed above to join the battle. Every job seeker understands how challenging it is to find a job that will fit their skills, their talents and of course, a job that will take them closer to the career that they have been dreaming of all their lives. Job-seeking becomes trial and error, often at the expense of the job seeker. On the other hand, finding the right candidate for the job is a difficult thing as well for a client and this often leads to wasting time, money and resources in the long run. A company’s HR Department is the bedrock and birthplace of that company’s ultimate success. Growth can be qualitative or quantitative but when it needs to be both, issues often come to pass. When a company is forced to hire many and hire quickly, too often quality suffers. This certainly doesn’t need to happen. The following is a guideline for businesses to follow as they look to onboard and diversify their talent pool within a crowded, and somewhat confusing, search landscape. Whether you’re working internally to source talent, or, as more often is the case, working with an outside agency, the key to successful talent recruitment begins with establishing your plan to hire and staying true to the plan throughout the process. 1) (If outsourcing) Interview and decide upon the correct search firm. (Find a link to an article detailing this process HERE.) The most important part of this process includes finding a firm who will partner with you/ not just work for you. 2) Establish a realistic timeline to hire. 3) Discover and engage high quality passive candidates. 4) Streamline your company’s brand throughout the process. 5) Get the culture fit correct. 6) Review extensive metric and reporting for the process; from start to finish to evaluate not only the recent hires, but the outside search firm you’re working with. 7) Aligning the true intention of what the company needs for the position to the true intention of what the candidate wants for their career. Not just resume matching but intention setting. This alone can attest for a strong culture fit and successful candidate retention. ESTABLISH A REALISTIC TIME TO HIRE. These days, there are more and more corporate hurdles to leap when onboarding new candidates. Not only are there more steps to the discovery process but there are more decision makers that need to be heard on the other side of the process (such as stakeholders, a growing HR department, etc.) All of this slows down the hiring process, oftentimes frustrating potential candidates and ultimately slowing the growth of the company itself. A realistic time to hire needs to be set in place from the get-go and then adhered to throughout the process. This means staying on sourcing and interview deadlines, and more importantly (but oftentimes more challenging) staying on C-level schedules to obtain confirmations of hires quickly and effectively. Also remember that the quality of your potential candidates will be severely impacted by both the firm you choose (specialty or quantity?) and the avenues by which you chose to search. Sifting through generic job boards may not land you that specialized computer programmer. Getting the correct culture fit is key to completing the search process. A candidate could look great on paper, be willing to relocate, but then never actually connect with those they are going to interact with on a day to day basis and thus retention suffers. The search process has to include interviews that survey personality traits as much as competitive talents. Be sure to set up the interview process to not only include HR managers but those direct managers that the candidate will work most closely with. And, when possible, have If and when possible, have colleagues or peers for that job actually do the interview or have a meet and greet meeting. This is a great way to empower the people of your company while making sure the new hires will adhere to the current culture you have moving forward. Obtaining detailed metrics and reporting throughout the entire process makes for not only stronger candidate sourcing but proper reflection of the hiring process from end to end. You can’t manage what you don’t measure and it’s important to understand where bottlenecks can happen. Too often detailed reporting falls by the way side and intention is not met. At the end of the day, it’s all about client accountability for the true intention to succeed. The client must stay true to the process through things like coordinating exec’s schedules in order to quickly be able to interview a passive candidate, to following and recording all the thousands of minute metrics, to putting the time in to peer to peer interviewing to perfect the culture fit. Onboarding new talent and expanding your company is a huge signal of success: remember to recruit with intention throughout the process to ensure that success blossoms. Tri-Search receives top award for Permanent Placement Staffing Agencies in 2017! The Difference Between RPO, Contingent, CPR (Customized Project Recruiting) and Executive Search: Which Search Firm is Right for You? Is your company looking to add employees this year and do you have questions about the many different options within the search firm market? CHROs and human resource professionals taxed with consistently maintaining, optimizing and expanding their talent supply chain may find themselves having to consider whether outsourcing recruitment to an outside agency is a viable solution. Successful collaboration with an outside search firm begins with choosing the firm that makes the most sense for your company’s individual staffing needs. When does an RPO firm make sense compared to a contingent recruiting agency? How does Customized Project Recruiting and executive search fit in? RPO – Recruitment Process Outsourcing is a form of business process outsourcing where an employer transfers all of its recruitment processes to an external service provider. RPOs typically search large volume, hourly employees and are best used when sourcing lower level positions. Options for RPO companies include Cielo (formerly pinstripe) and PeopleScout. Contingent Search is most often industry-specific recruitment where a fee is due only upon successful candidate placement. This can be effective with highly specialized positions and is a notable option for the tech sector and for placement for salaries between $50K to $150K. A good example of an established tech contingent firm is Techcruit. Please note contingent firm placements usually come with shorter placement guarantees, 90 days on average. CPR is Customized Project Recruiting, a proprietary process introduced to the market in 2013 by Tri-Search that has become so successful it is beginning to carve out its own niche in the marketplace. Customized Project Recruiting is a blend between executive search and RPO. Companies using CPR gain the targeted recruitment of passive candidates that they would get from a high level executive search firm with the metrics and reporting that they would receive from an RPO. This helps companies acquire better candidates quicker and at a lower cost. CPR is best used for companies looking to hire between 5-100 candidates with salaries ranging from $50K to $250K. Tri-Search is the only search firm utilizing this innovative new process at this time. Executive Search is a specialized recruitment service that finds top level candidates for senior, executive or other highly specialized positions for clients. These firms typically charge retainers and get paid all fees regardless of filling the position. Detailed metrics and reporting accompany high quality, passive candidates when using an executive search firm, such as Morgan Samuels. In sum: If you’re looking to hire a tech specialty position within a niche market, a Contingent Firm might work best. If you’re looking to hire 1,000 lower salaried or hourly employees (such as staffing a new call center) RPO would be your first call. If you’re looking to hire a key C-level executive, a retained Executive Search Firm (such as Morgan Samuels) would be your answer. If you’re looking to hire 5-100 employees of all different levels, then the CPR approach would work best (Tri-Search.) Where RPO is typically an all or nothing approach, CPR offers flexibility and partners well with clients to work on individual staffing needs. Also take note that contingency firms are more likely showing their candidates to other companies at the same time where Executive Search and CPR won’t be. Hopefully this information helps to provide details on the ever expanding and always changing search firm landscape for you as your company continues to grow. If you’d like to learn more about the search landscape, click here. Search firms are always looking for ways to make their processes more streamlined, robust and ultimately successful, not just to be able to pass those services on to their clients, but also to stand out in a crowded marketplace. To achieve individuality and edge, some firms create proprietary interview processes or proprietary technology products while others work to prove themselves as thought leaders in the executive and human resource sphere. One rapidly-rising search firm, Tri-Search, an international full-service talent acquisition company headquartered in Denver, Colorado, recently introduced a new model called Customized Project Recruiting (CPR) and already the proprietary product has garnered praise from CHRO’s around the country. In fact, the new model is directly responsible for packaging industry giant Coveris’ recent renewal with the emerging firm. The idea behind CPR was created after 15 years of experience in the staffing industry by Bob Aylsworth. Mr. Aylsworth built and sold the RPO Firm TriWorth to a large staffing company in Chicago in 2014. That set the stage for Aylsworth, along with founding partners Stephen Aylsworth and John Grahame, to launch Tri-Search. The three executives soon discovered there was a niche in the marketplace where the mid-level search realm was being underserved and this was something that perfectly fit the executive team’s unique and creative expertise. The trio created CPR in January 2015 and quickly offered the product into the marketplace. CHRO’s around the country have truly enjoyed Tri-Search’s tailored approach to recruit multiple positions per year with an on-demand and strategic partnership. This is a comprehensive and integrated service model using multiple recruiting channels all rolled into one dynamic recruiting package. The success of CPR is in part due to its high quality of candidates and lower cost structure and so far, this technique has CHROs’ across the country interested in the new product. Enter Anthony Fogel, CHRO of Coveris. Mr. Fogel was one of the early adopters of the burgeoning CPR product. From the beginning of their partnership, Mr. Fogel and Mr. Aylsworth discovered that if Coveris eliminated the surplus contingency firms spend and placed the breadth of searches all under one shop, that they would bring costs down 30-40%, bring in higher quality candidates faster and implement a more robust recruiting process. The on-going success of Tri-Search’s unique Customized Project Recruiting model a big reason for packaging industry giant Coveris’ recent renewal. Tri-Search, the international full-service talent acquisition company headquartered in Denver, Colorado, introduced Customized Project Recruiting (CPR) a few short years ago and already the proprietary product has garnered praise from CHRO’s around the country. The success of CPR is in part due to its high quality of candidates and lower cost structure. These are just a few reasons behind packing-industry giant Coveris’ recent renewal with the search firm. Mr. Aylsworth continues to explain the proprietary CPR approach offers companies flexibility (as opposed to an “all or nothing” approach), lower fees and a higher level of customer service. The customized processes we implement from our dedicated and experienced operations team has also shown tremendous value to our clients. CPR also helps strengthen employment branding which is often overlooked within the recruitment world. Within the Tri-Search walls, branding has been realized as a strength to our clients and we work together with the client to design, implement and streamline the brand’s narrative to the marketplace. Moreover, with only one company implementing the search process, there’s no confusing or mixed-branding messages floating about in the marketplace from different companies and people sourcing for the same position. Enter Anthony Fogel, CHRO of Coveris. Mr. Fogel was one of the early adopters of the burgeoning CPR product. From the beginning of their partnership, Mr. Fogel and Mr. Aylsworth discovered that if Coveris eliminated the surplus contingency firms spend and placed the breadth of searches all under one shop, that they would bring costs down 30-40%, bring in higher quality candidates faster and implement a more robust recruiting process. Tri-Search is an International full service talent acquisition company that is headquartered in Denver, CO. The search firm was established in 2007 (name change in 2015) and specializes in placing mid-level positions for companies of any size throughout the US, Canada and the UK. Mid-level positions are jobs with compensations ranging from $50,000 to $200,000. These mid-level positions can be placed in a retained one-off engagement or in a CPR (Customized Project Recruitment) solution for multiple positions. For more information contact John Grahame @ 720.785.4740, jgrahame@tri-search.com or visit www.tri-search.com. Learn more about CPR here. Coveris is a leading international manufacturing company, dedicated to providing solutions that enhance the safety, quality and convenience of products we use every day. In partnership with the most respected brands in the world, Coveris develops vital products that protect everything from the food we eat, to medical supplies, to the touch screen device in our pockets, contributing to the lives of millions every day. For more information visit www.coveris.com. See Mr. Fogel’s Tri-Search Testimonial here.